Exfoliating is the most important part of skin care regime. Exfoliation clears and brightens the complexion. Evens out the colouring and eliminates comedons (blackheads). Everything at the very surface of the skin; pores, wrinkles and scares appear bigger; therefore by removing surface dead skin cells they diminish in size. Treatment products used on the skin will absorb or in some cases penetrate better after resurfacing and be more effective. You will see better results. All skin conditions benefit from exfoliation: Acne – wrinkles – dry skin – clogged pores – eczema – psoriasis. Diamond Microdermabrasion – This is one of the best preventive and corrective treatments in the anti-aging category because it triggers the skin’s natural repair, stimulating epidermal and dermal rejuvenation. In one treatment the skin will feel baby soft, the complexion brighter. In a series of treatments it clears the complexion, eliminates comedons, and addresses fine lines, pigmentation and superficial scars. 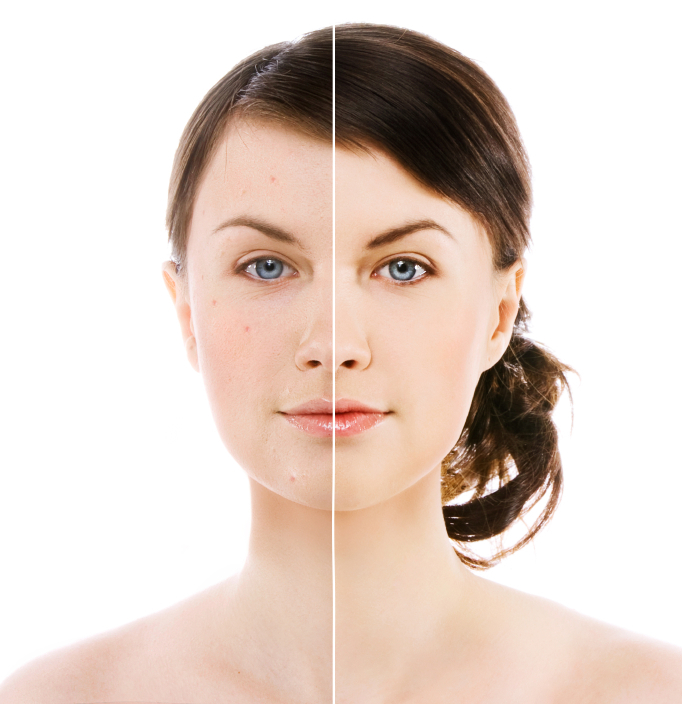 There is about 80% improvement in the skin’s texture and appearance. I am not fond of Crystal Microdermabrasion. Neither my clients nor I want to inhale the crystal powder, a residue is left on the skin regardless of how well it is rinsed off and it can also enter the mouth and be ingested. Very unhealthy! Glycolic Acid – Glycolic acid is one of the AHAs. It breaks down the build-up between the dead skin cells. For best results I recommend a series of 6 clinic treatments, once week, with a home care glycolic acid used everyday. The benefits of glycolic acid are that it draws moisture into the skin and it enhances the absorption of other ingredients. For Glycolic acid to work well as a peel it should be at least 10%. Anything less then that is not as efficient. I find that most of the over-the-counter moisturizing face and body products that include AHA as an ingredient are not very effective as a peel. If you are not exfoliating you are not getting the best out of your skin care products. Call now about coming in to see me about the best treatments for you. This entry was tagged dead skin cells, Glycolic Acid, skin care regime, skin care products, skin conditions. Bookmark the permalink. I loved reading this and was feeling the joy – and very good sense – of coming in for a polish. Then I got to the part about you being “not fond” of “one of the best preventative and corrective treatments”. Now I’m confused. But I know you and what you’ve had to inhale on your clients’ behalf. May I suggest leaving that part out? Either use it and sing its praises, or don’t use it. No one wants to have a treatment knowing you don’t like giving it.